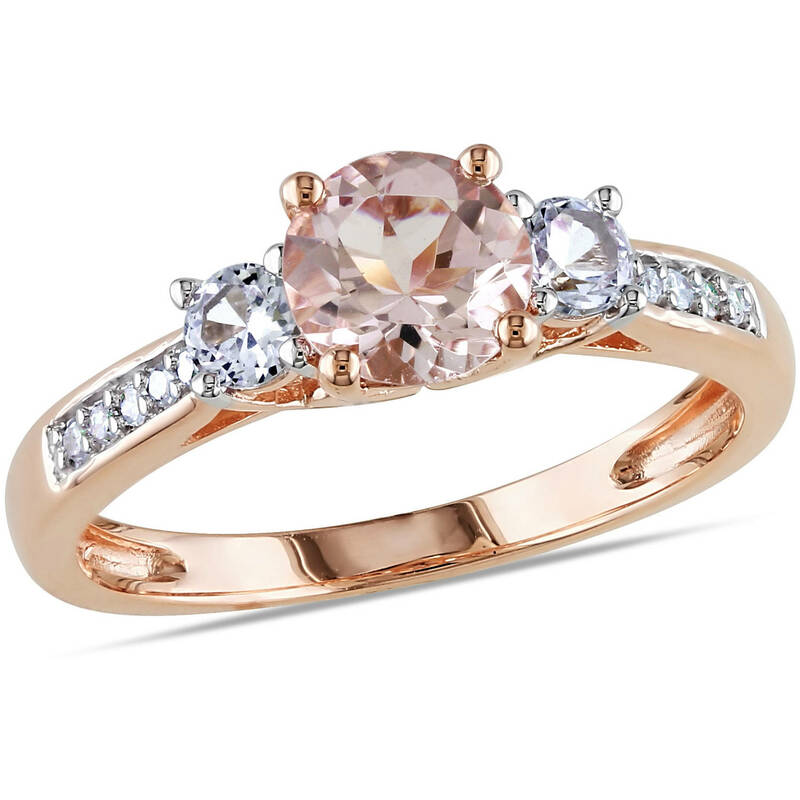 Express your love with this exquisite, morganite, created white sapphire and diamond ring. The three-stone ring sparkles in pink gold with a vibrant round-cut morganite in the center and round-cut, created white sapphires on each side as well as 10 round-cut, prong-set white diamonds shimmering along the slender band. Main Gemstone Size: 1/7 Carat T.G.W.